Video games are fun. Movies are fun. But when the two combine to produce a live-action feature film – or, by the same token, a tie-in video game in the vein of The Chronicles Of Riddick: Escape From Butcher Bay – the results often range from disastrous to flat-out disappointment. 2016 was no exception, either, after the back-to-back flops of Assassin’s Creed and Duncan Jones’ budding franchise-starter, Warcraft: The Beginning. There have been rumblings of potential sequels for both blockbusters, but without any tangible development in almost six months, the thought of revisiting the Animus – and indeed the mystical realm of Azeroth – is about to be chalked up as wishful thinking. But if Hollywood executives have been deterred by those box office bombs, it doesn’t show; The Division and the Alicia Vikander-fronted Tomb Raider are just two examples of high-profile video game movies incubating in development, and Deadline brings word of another: Gears of War. Not since October of 2016 have we caught wind of the live-action tentpole, at which point we learned that Universal Pictures had struck up a creative partnership with The Coalition, the video game dev that took the reins of the iconic sci-fi series just in time for Gears of War 4 (Epic Games originally owned the franchise before Microsoft acquired the IP outright in 2014). Now, the Redmond-based giant is making serious headway on its adaptation. Per Deadline, it’s been confirmed that screenwriter Shane Salerno has signed on to hash out a screenplay for Gears of War. His credits include Armageddon, Shaft and Savages, and he’s currently one of the scribes attached to James Cameron’s Avatar sequels. Salerno will no doubt bring a fair amount of blockbuster experience to the table, then, and it’ll be interesting to discover how Microsoft molds this project into shape as the battle against the invading Locusts looms. 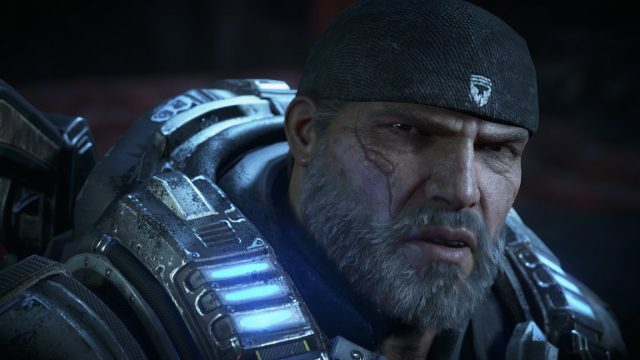 A Gears of War movie is officially picking up steam at Universal Pictures, but what are your thoughts on Salerno’s appointment? Do let us know below.